This class is more about drawing, keeping a sketchbook - including making your own, as well as exploring many ways to use your personal sketchbook. We will use watercolor, gouache, and craft acrylics (or any acrylics you choose) so the costs are minimal. Tuition paid monthly ($100/4 weeks), but of course you can always find a friend to take your place if you have to be out of town. And you will be invited into my private Facebook Group for all my students. Lots of fabulous sharing there. And I communicate to the group via Facebook, too. So, it's best if you have access. 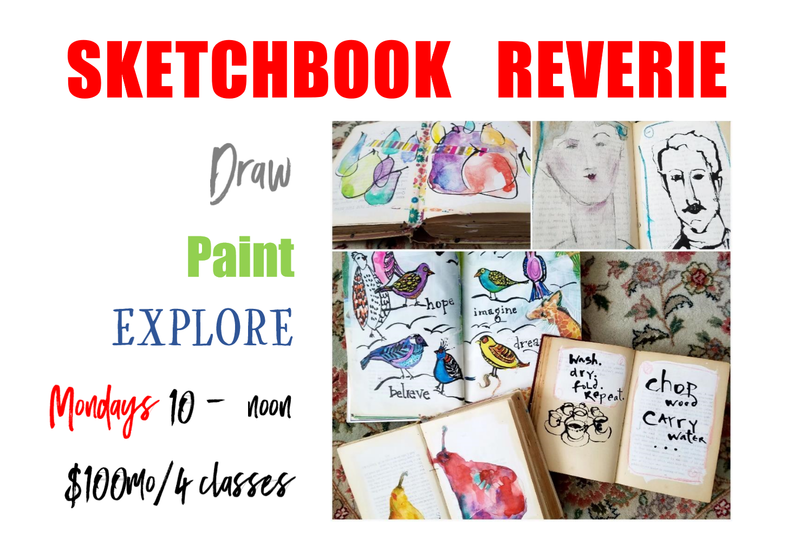 This Sketchbooking class is more reflective than our Loose and Expressive Acrylic painting class. Though you can still expect instruction, creative prompts, and lots of ideas. Your sketchbook can be for travelling, journaling, or just creating beauty and expressing your creativity. It's whatever you want it to be. 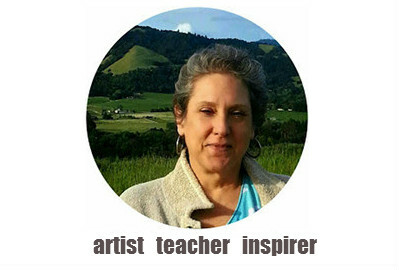 FREE DEMO for this class - Saturday Nov 4th 10:30 to noon at Riley Street, Santa Rosa, CA. First class Nov 6th. And we will meet only two weeks in December, then take a break before the New Year. Would you consider offering this course on-line? Hi Sheila, Let me think of how to do this. I could create a video, but wonder if an online LIVE course might be better. Gotta figure out camera setup. Thanks for the idea.